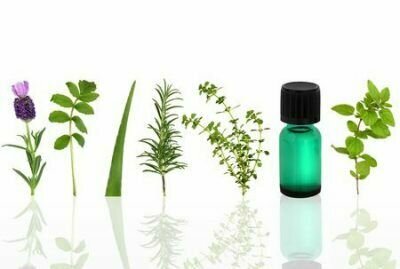 The main index for our Single Essential Oil Profiles is located here. If you see a term you don't understand, be sure to check our Alternative Health Glossary of Medical Terms! Scent: Very sweet, citrusy, fruity. Action: Light antispasmodic, digestive tonic, antiseptic, antifungal, gallbladder stimulant. Benefits, Indications: May help acne, digestive problems, fluid retention, insomnia, intestinal problems, skin problems (congested and oily skin, scars, spots), tones the skin, diminishes stretch marks (when combined with either jasmine, lavender, sandalwood and/or frankincense), calms nervous tension and restlessness. Recommended for children and pregnant women because it is very gentle. More Info: Mandarin essential oil is adaptable and can be used to treat a wide range of physical and emotional conditions. A few drops added to a carrier can be used in massage to treat cellulite, stretch marks and fluid retention effectively. To increase the oil's effectiveness, add other essential oils that are effective with these conditions such as juniper berry and cypress since they create an effective synergy together. Mandarin oil has a mild antispasmodic effect which makes it useful for relaxing muscle spasms, and when massaged on the abdomen helps to relieve dyspepsia and gastritis. Its cheering, uplifting and relaxing aroma is ideal for treating negative emotional conditions such as anxiety, nervous tension, stress, irritability, restlessness and tantrums – with both grown-ups and children! Precautions: nontoxic and non-irritant. Mildly photo-sensitizing. Do not take mandarin essential oil internally. Control of Autochthonous Spoilage Lactic Acid Bacteria in Apple and Orange Juices by Sensorially Accepted Doses of Citrus Spp. Essential Oils Combined with Mild Heat Treatments. Get your herbs and oils at a place you can trust! Starwest Botanicals not only utilizes their own milling and packaging operations for all organic herbs and bulk spices, they also conduct quality control testing on each and every product in their own laboratory. With attention like that, you can be sure you will receive only the highest-quality organic herbs, dried herbs, organic spices, therapeutic essential oils and all natural products when you place an order with Starwest Botanicals. Fill out the form below to sign up to our free natural health and healing newsletter and e-zine and stay up to date on our latest articles and informed about holistic healing therapies and effective home remedies for common ailments. As a thank you for joining our newsletter, we'll also send you The Healing Art of Aromatherapy mini-course – at absolutely no cost! Stay Informed & Learn Basic Reflexology FREE!